From the author of the highly praised Canned and Crushed comes a new story about friendship, the consequences of bad decisions, and embracing what makes you different! 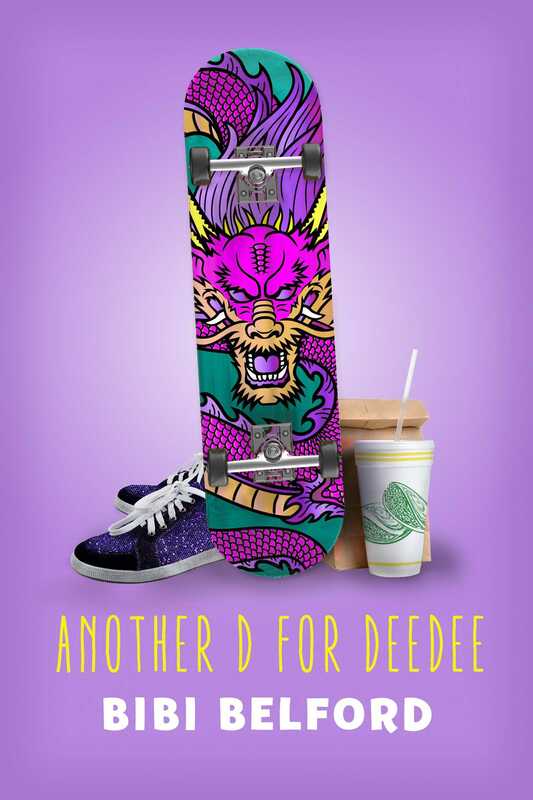 DeeDee’s life is full of D’s. Missing her dad, who’s disappeared. Distracted by her sister’s quinceañera and her brother dropping out of high school. Disappointing her family by struggling in her new school. Being diagnosed with diabetes. So many D’s she worries she’ll never fit in, and worse, never find the best friend she’s always wanted. Then she meets River, her new neighbor with cochlear implants and finds they have the same interests. Art. Dance. Skateboarding. And they both miss their dads. But while DeeDee struggles to adjust to her new circumstances and life with diabetes, River embraces life, even his differences. River offers to help search for DeeDee’s dad and coach her in skateboarding and the two become friends. River even encourages her to participate in her school’s Spring Fling talent show. Then River transfers to DeeDee’s new school. Instead of sticking up for him and risking being made fun of, DeeDee makes mistake after mistake until she’s forced to decide: keep the best friend she’s always wanted by standing up to her classmates, or stay silent and lose River forever? Before DeeDee can be a good friend she must learn to love differences—not just River’s but also her own. "[A] never-a-dull-moment debut....fitted with an admirable, funny protagonist." "Belford compassionately reveals that there’s far more to Sandro than just his misbehavior; his family’s poverty and immigration worries lead Sandro to take on far more than an 11-year-old should. Sandro’s breezy, conversational narrative, often directed at the reader, offsets the weight of his troubles in this eye-opening story that will likely resonate with a wide audience." "Belford’s debut contains complex characterization: Sandro is affable and witty, yet his quick temper and poor decision-making will ring true to young readers....readers are likely to stick with Sandro till the sweet, wobbly end." "Holy guacamole! You’ve got to meet soccer star Sandro, whose brain is as quick as his feet—which is good because between chasing a turtle who’s an escape artist, helping his dad collect roadkill, and conquering fourth grade, he’s got to move fast. Luckily, Sandro’s the kind of kid who puts the can in can-do and the fun in funny. You’ll laugh out loud at Sandro’s adventures, sympathize with his foul-ups, and cheer for his wins. Also, watch out: you’ll never look at duct tape or fourth grade the same way again!" "Sandro is the type of kid you rush to sit by in the cafeteria just so you can hear what he says or see what he does next. Canned and Crushed will charm you, as Sandro is a sweet-hearted, accident-prone mischief-maker you won’t forget. The only thing bigger than the messes he finds himself in is his heart."